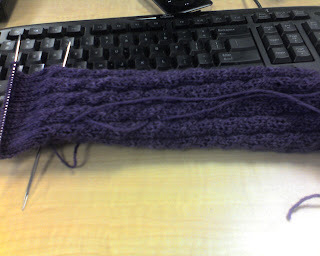 Starting the heel. Ooooh, the EXCITEMENT! We had a talkie-talker this morning on the train. A giggly OHmyGAH are you SERIOUS oh ya-huh no WAY so then I was all like Nuh-UH-er.